Amidst this summer’s relentless gloomy weather it was great to receive some good news from the RSPB Cornish Chough project. This summer has been the best breeding season for Chough since they began their recolonisation of Cornwall in 2001. From five nests 18 young have fledged and seem to be thriving and spreading out along the coastline. Together with the release of this great news came some surprising information concening the origins of the original Southerly Point, Lizard Point pair. It had long been surmised that they had come from either Brittany or Wales. However, following studies of DNA samples taken from feathers, it seems extremely likely that they are actually of Irish ancestry. 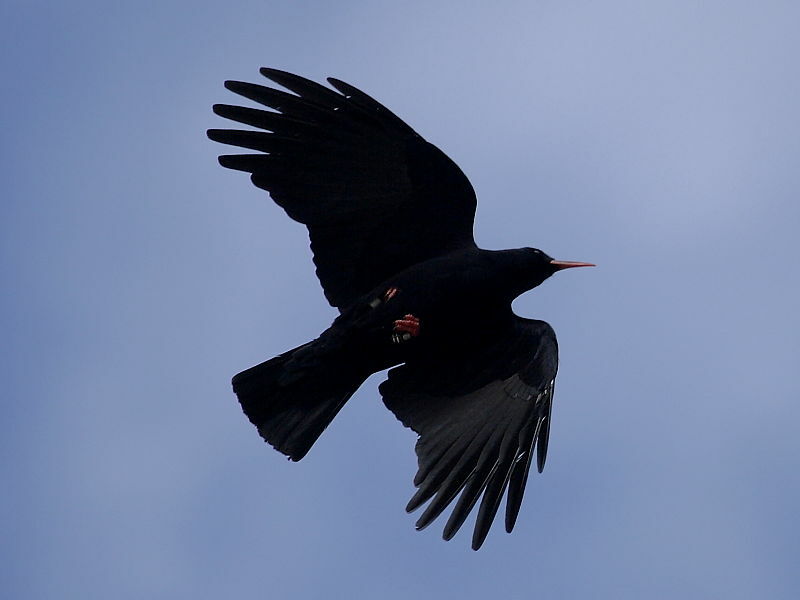 This has surprised many as Chough are known for being fairly sedentary birds and it had therfore been felt that they would have come from the nearest populations.